It's been almost a month since Justin Bieber deactivated his Instagram account, after being bashed by his fans over dating Sofia Richie (singer Lionel Richie's daugher). Considering how impassioned his fan base is, Beliebers must be close to dying without seeing a single upload from Bieber. 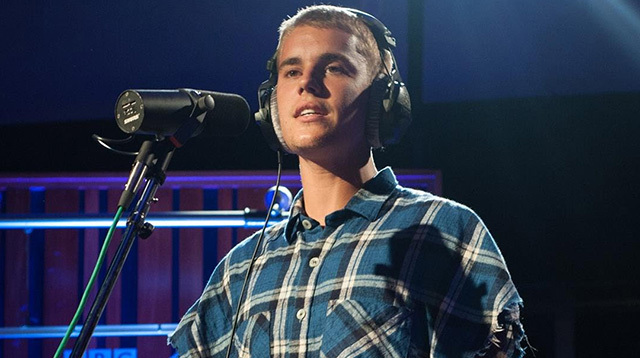 Fortunately, the pop star hasn't totally shied away from public attention and still indulges the world with his considerable talent, like in this recent Live Lounge set on The Radio 1 Breakfast Show with Nick Grimshaw in LA. He dished out a few personal hits such as "What Do You Mean?" and "Love Yourself," among others, and even did covers of the likes of 2Pac ("Thugz Mansion") and Tracy Chapman ("Fast Car").